The muzzle on Viacom shareholders is loosening up. 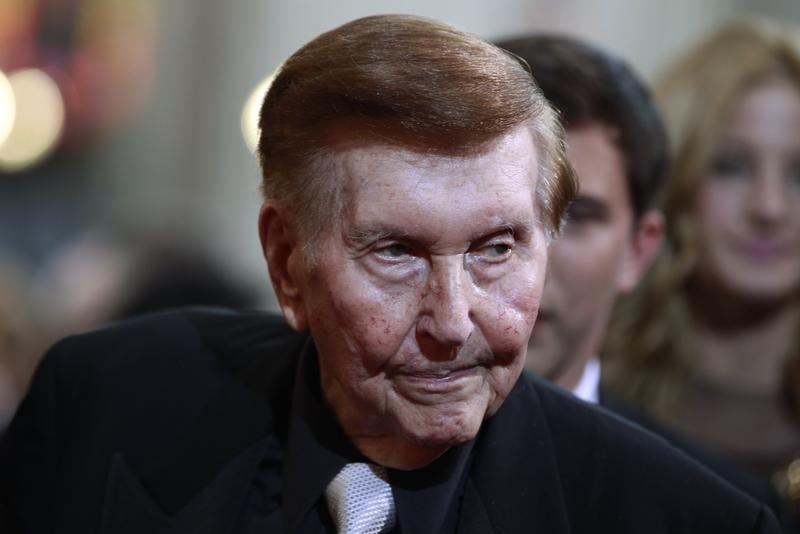 Owners of Sumner Redstone’s media conglomerate will get to vote on whether Viacom should extend all shareholders a voice in its affairs, Reuters reported on Friday. Since Redstone controls 80 percent of the $16 billion media conglomerate’s ballot, the measure has a snow cone’s chance in Hades. But the results could embolden minority shareholders, and send an uncomfortable rebuke to the 92-year-old mogul and Viacom management. Viacom wants shareholders to vote against the proxy measure brought by Missionary Oblates, a Roman Catholic congregation in Washington. Viacom argues the super-votes accorded to Redstone and other Class A owners allow for long-term planning. Class B holders have no vote. But the fundamentals don’t help Redstone’s case. The operator of cable networks including MTV and the Paramount Pictures film studio has seen fractured viewership, a decline in advertising revenue and fears over the dwindling fees cable operators pay Viacom. These factors have helped clobber the stock 45 percent over the past year. In that respect, voiceless shareholders have voted with their feet. Viacom stock trades at just 6.6 times forecast earnings – well below peers struggling with similar industry challenges. Rupert Murdoch’s Twenty-First Century Fox fetches 12.7 times earnings, while Walt Disney is at 17.1 times and Discovery is at 13.2 times, according to Eikon data. Complicating governance matters are questions surrounding Redstone’s health. He is ailing, though to what extent is unclear. Chief Executive and Director Philippe Dauman has been appointed Redstone’s health proxy once he is unable to make decisions. A trust kicks in upon Redstone’s death. Dauman is but one of seven trustees, so factions among the group could well materialize. Murdoch, a longtime Redstone rival, knows firsthand how stakeholders can rattle seemingly secure cages. Murdoch controls Twenty-First Century Fox and News Corp through a family trust that maintains about 38 percent of the vote. In 2014 he narrowly defeated a proposal put forth by activists who pushed to change the share structure at News Corp, which publishes the Wall Street Journal. That’s a stark reminder that restive shareholders can send a message that ownership is not eternal. Viacom will allow investors to vote on whether to extend voting rights to all shareholders, Reuters reported on Jan 8. The proxy measure was brought forth by Missionary Oblates, a Roman Catholic congregation in Washington D.C., which holds 4,000 voting shares of Viacom’s Class A stock. Viacom said it is opposing the proxy measure and that its super-voting structure has allowed the board and management to focus on long-term success.